Adaptive Combat Rifle (ACR). 16.5″ Cold Hammer-Forged Barrel. Three-sided aluminium hand guard with integral MIL-STD 1913 rail for accessory mounting. 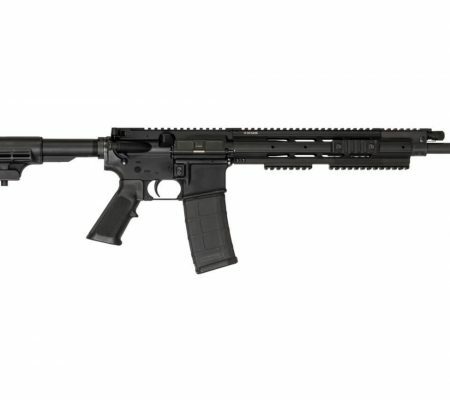 Includes AAC® Blackout flash hider. Includes 30-round PMAG magazine. Chambered in 5.56. Includes AAC 51t flash hider adapter. Folding and collapsing stock. Ambidextrous safety, bolt lock, and mag catch. Adjustable gas piston system.